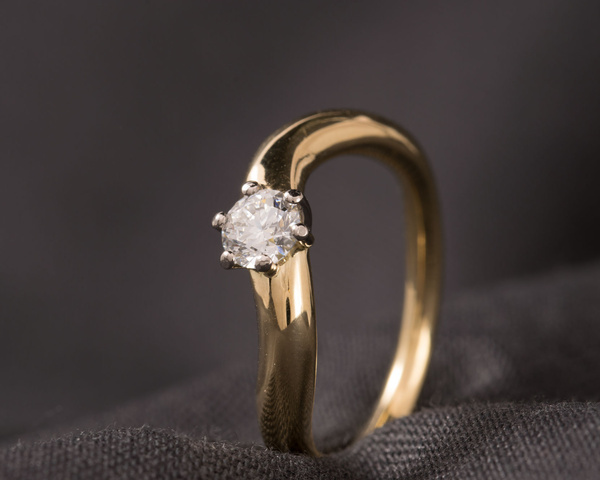 Any jewellery created for you, for your joy and to your desire, especially your engagement ring, is already very unique, filled with meaning and history to come. 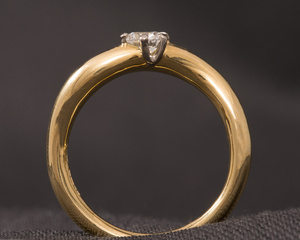 Using responsibly sourced diamonds and gold from sustainable and ecologically friendly sources like we did for this particular ring will add another special importance to any piece. 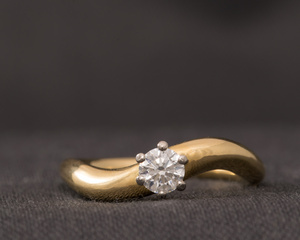 The Canadian Diamond is held in a six claw setting in a gentle wave band which gives this engagement ring made from Argentinean Wash- Gold an unusual element, and something to feel proud of. 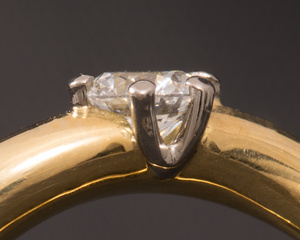 Comfortable and low sitting the flow of the ring with is beautiful stone is elegant and full of warmth.